It can take years to master the piano. Fortunately, digital piano keyboards are great options for those looking to get started with the instrument. They are a fun option for beginners. But, if you search for digital piano keyboards, you may quickly be overwhelmed with the results. Below are our recommendations for the best digital piano for beginners. We understand that as a beginner, you are not very familiar with your options for digital piano keyboards. That’s why we took our time and reviewed dozens of keyboards to compile a list from which you could not go wrong. Our team began by testing various keyboards until we found ten that met our standards. After narrowing our options down to the top ten, we searched hundreds of customer reviews. 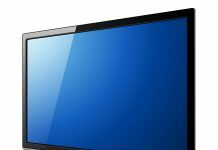 We understand that a product may perform well when tested a handful of times, but may not be durable enough to withstand months or year of wear and tear. We wanted to hear from other pianists to see what they thought were the best digital piano keyboards for beginners. Combining our test results with customer reviews allowed us to come up with our list of the five best pianos for beginners. This list is subject to change, which is why we encourage our readers to comment and share their thoughts on our list. If we feel we have omitted a piano that is an excellent option for beginner musicians, we will not hesitate to add it to the list. No matter if you have a child who is interested in the piano or you are an adult who has long wanted to learn how to play, it’s never too late to find one of the best pianos for beginners. The five options listed below are a great place to begin your search. Many of these pianos come as a set or with software that is ideal for the beginner pianist. This piano from Alesis was one of the most popular full-sized piano models we came across. It carries a four-star rating on Amazon with more than 450 customer reviews, earning an Amazon’s Choice label for being the #1 best-seller in Home Digital Pianos. Of those who reviewed the product, more than 75 percent gave it either a four or five-star review. Amazon offers this digital piano for a little more than $200. The piano comes with 88 full-sized, semi-weighted keys. The product also comes with 20-watt built-in speakers, allowing a beginner pianist to play for an audience when they are ready. 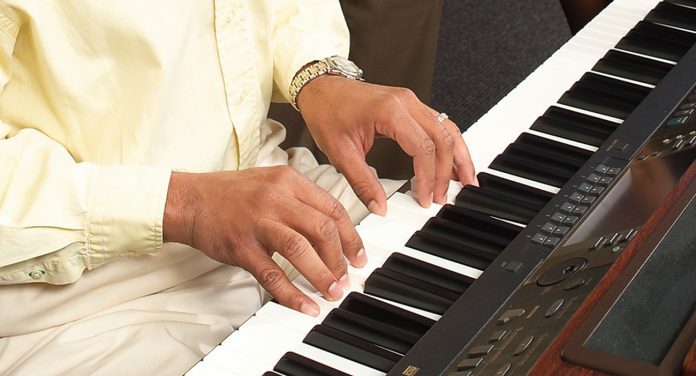 Pianists can begin practicing in “Lesson Mode,” which helps minimize the size of the keyboard into areas with the same pitch and voice. The product operates on a wall adapter which comes included, or six D-cell batteries if you wish to take the piano on the go. There is also a ¼” stereo headphone output so that students can plug in headphones when they are practicing. The instrument also comes equipped with USB-MIDI Connectivity, allowing a beginner to connect to educational software. If you order the product through Amazon, you’ll also receive access to a three-month premium subscription to Skoove. Skoove is software that offers interactive piano lessons online, which could be an excellent option for those just beginning to play the piano. The Skoove subscription helped us determine that this package was one of the best pianos for beginners. Multiple reviewers said that they were looking to upgrade an outdated keyboard and that they were blown away by the fact they received such high quality for such little cost. Another critical factor that stood out to many reviewers was that there were not many buttons on top of the keyboard, making it easier for beginner students to concentrate on playing. It does not come with a sustain pedal. Ultimately this is not a pro instrument, but it is adequate for light home use or for a beginner. 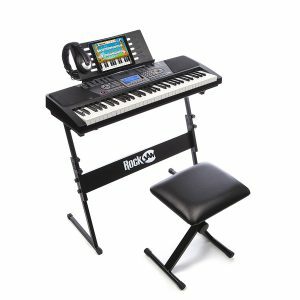 The Keyboard SuperKit from RockJam is an affordable option for those interested in the complete package for their beginner student. Amazon offers the kit for about $120. 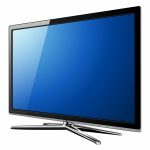 The set carries a 4.1-star rating on Amazon with nearly 850 customer reviews. The unit has earned an Amazon’s Choice label because it is the #1 bestseller in Portable Keyboards and has a third fewer returns than other products. Of those who reviewed the product on Amazon, 75 percent gave it either a four or five-star rating. Many reviewers said that it was the best piano for beginners that they had ever come across. A good number of the reviewers appreciated the fact that the piano came with the SuperKit, which allowed them to set up and begin playing almost immediately. The seat that comes with it is not adjustable. Taller people might need to purchase the keyboard and the seat separately. Also, it is volume controlled. Sound volume is not dependent on how fast or slow you go into the keys. If you’re in search of a digital piano for less than $100, this instrument from Hamzer may be one of your best choices. The keyboard carries a four-star rating on Amazon with more than 250 customer reviews. It’s earned an Amazon Choice label because it is one of the top digital piano keyboards available. You can purchase this product for less than $90. This piano comes with a built-in speaker and an astounding 255 rhythms. This piano could be ideal for beginners because it comes with an integrated learning system with an LCD. It also allows users to experiment with various effects and features, such as chord timbre, sustain, vibrato, ensemble, tempo adjustment, and master volume control. Like the other pianos on our list, this digital keyboard comes with a headphone output jack so that you can listen to yourself play without disrupting others. However, this package is unique because it also comes with a microphone with a cord that is four feet long. If you are looking to practice your vocals, or perhaps have a friend join you for a duet, the microphone could be particularly handy. 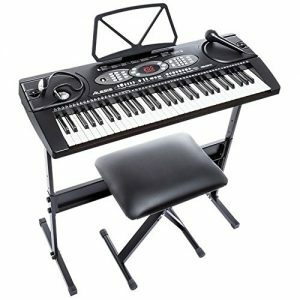 This keyboard kit also comes with a piano stand, which means you’ll be able to play it right out of the box. It does not come with a stool, however, so you may need to purchase one separately. The piano comes with a wall adapter but does not come with the six AA batteries required to power the keyboard while on the go. The consensus amongst Amazon reviews was that this was an affordable package meant for beginners. 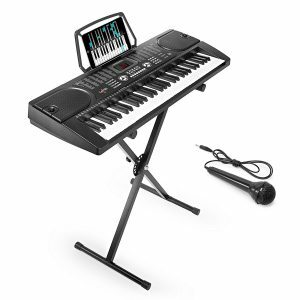 Many reviewers indicated that they were not expecting a top-of-the-line product but were impressed with the digital piano once they began playing. Many appreciated that the keyboard came with an adjustable stand as well. The volume defaults to a maximum and need to be adjusted everytime. It also lacks a dynamic response. The back panel has inputs for audio, mic and power cord. This might be an issue for people who needs to plug in a damper pedal. Another great beginner’s package, the Alesis Melody Bundle carries nearly a four-star review on Amazon with almost 300 customer reviews. Of those who reviewed the product, approximately 75 percent gave it either a four or five-star review. You can purchase this package on Amazon for less than $120. The set should provide everything you need to begin playing the piano. 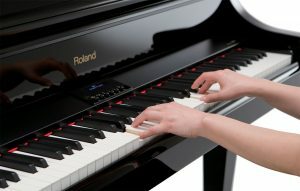 The piano comes with 200 built-in sounds and three instruction modes to help improve the skill of all pianists. Additionally, the kit comes with a microphone, stool, and stand, providing you with the ultimate keyboard experience. Like the other Melody product on our list, you’ll receive a three-month Skoove subscription as well, with full access to premium courses and new monthly lessons. The piano comes with a USB port that allows you to upload your MP3 files, from which you can play along. This was a feature that was well-received by many reviewers. Other reviewers were impressed by the fact that they keys were weighted, which made the digital keyboard feel much more like a traditional piano. Many reviewers found this product to provide exceptional value for younger pianists. Battery runtime is between 6-8 hours. Some may need to connect it to a laptop. However, it lacks a MIDI USB connection so it cannot connect to a computer for MIDI use. With this, you can just connect the output of the piano to a recording input on your computer and record it onto an audio recording software. Although this product does not come in a package like many of the others on our list, it is one of the most quality digital keyboards that we tested. The Casio CTK-3500 comes with a 4.3-star rating on Amazon with more than 100 customer reviews, causing it to receive an Amazon’s Choice label. Customers can purchase this product for less than $130. This digital keyboard is excellent for beginners because they can take lessons on a virtual screen that plugs into the piano through the stereo mini jack. Many reviewers found that this was one of the most effective ways to help learn the piano. Of those who reviewed the product, nearly 65 percent gave it a five-star rating. Reviewers remarked that this was a fantastic, durable keyboard. 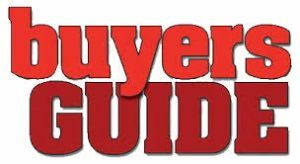 There are many criteria to consider when searching for the best piano for beginners. Narrowing your search down to the options listed below is a great place to begin. The following can help you understand why you should consider purchasing a digital piano keyboard and how to distinguish between keyboard models. Many of the digital piano keyboards on our list come with various software or subscriptions designed to assist the beginner pianist. We’ve tried to include digital piano keyboards on our list that come with these capabilities. You may want to evaluate the different software and settings to determine which learning platform is best for you or your child. When it comes down to it, there’s no reason to purchase a digital piano keyboard without obtaining some access to a learning platform. 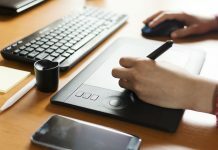 Instead of spending money on lessons, you can try the learning platform to get a feel for the instrument. Once you have cleared the introductory stages and consider yourself to have an intermediate skill level, you could take private lessons if you so choose. If you are beginning to learn the piano, a digital keyboard is a cost-efficient way of doing so. Digital keyboards cost significantly less than acoustic pianos. In fact, you could obtain a complete bundle for less than $200, with most packages requiring $90-$150. As a beginner, you should not spend much more than this. If you discover that you have taken a liking to the piano, you can upgrade your equipment over time. Because you are a beginner, you do not want to sink thousands of dollars into materials without knowing that you will love playing the instrument or be any good at doing so. 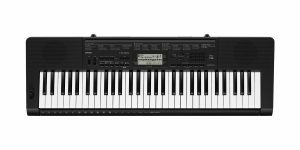 Low-end digital keyboards still provide enough sound quality for beginners to satisfy beginners. One of the most significant advantages of a digital piano keyboard is the fact that it is portable. It’s relatively easy to pack a digital piano and take it from one location to another. If you plan on moving your piano frequently, portability should be one of the primary things you consider. Lightweight pianos are in your best interest, and the piano’s weight should be something to which you pay close attention. You may also want to take a look at some of the other features that the digital piano keyboard offers. For example, some keyboards come with audio in and audio out jacks, meaning you can connect a microphone and headphones to your instrument. Additionally, some keyboards come with USB or MIDI capabilities, which will allow you to increase your musical array. Similarly, you may find keyboards that allow you to record your music. Many beginner musicians find this advantageous because they can listen to and review their music. Features like these are not necessarily required, and you should not break your budget for them if you are not interested. But, they are unique and may be worth considering.